With just about three months left before VAT hits the UAE, have you assessed how the new tax regime will impact life as you know it in the UAE? 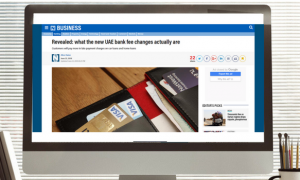 The announcement of Value Added Tax (VAT) making its debut in the UAE certainly made waves last year, with many questions popping up in the minds of those residing in the currently tax-free country. With only three months left until its roll out, here’s what you need to know about VAT and its impact on your life in the UAE. VAT is an indirect tax on consumption of goods and services, levied at every stage of the supply chain until it reaches the final stage and is borne by the customer who ultimately purchases the good or service. The decision to implement VAT in the GCC countries comes after the decline in oil prices and as a measure to increase the revenue generated from non-oil sectors in the region. With VAT being set at 5% in the UAE, this essentially means that you will be paying a higher buck for goods and services that fall in the taxable bracket. Even though the law detailing the exact list of taxable items is not out yet, from the common practice in most countries with VAT applicable, the tax will likely be imposed on the non-essential and big ticket goods. Is my cost of living expected to go up? When compared to the high VAT rates in other countries, the 5% VAT in the UAE does not look like one that’s going to break the bank. 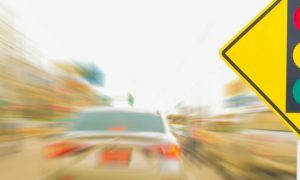 But the real implication of what may seem like a negligible hit can only be understood as and when the new year of 2018 arrives. For most UAE residents, VAT will have no added impact if their spending is mainly on those things which are relieved from VAT, in which case they will unlikely see any noticeable increase. The authorities are yet to release the list of Non-taxed products and services. This will be in addition to certain education and health services that residents will be charged at 0%. The Residential properties and Local passenger transport categories will be exempted from VAT as well. Individuals may need to evaluate their lifestyle and buying preferences.A boost in monthly expenditures might be noticed for their retail shopping bills but there may be little or no change for those who choose to stick to the basics. If you choose to indulge in luxury goods, services, and extravagant purchases, you will most likely be paying a premium in exchange and hence will see your bills grow with your shopping bags. 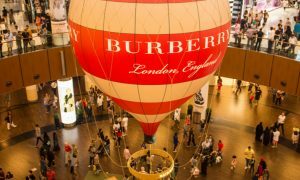 Dubai being a popular shopping destination for tourists, the added 5% VAT is sure to bring down their purchasing power. Still, a 5% fee is nominal and seems negligible when compared with other tourist spots such as Europe. How can I prepare for VAT implementation? Based on the nature of the taxable items, it is incumbent on individuals to evaluate their expenditures and lifestyle choices. If one has a reasonable appetite for luxury, or lives frugally, VAT will have little or no impact on lifestyle. However, if your average bill runs into many dirhams over the course of a single weekend, VAT will definitely set you back in expenditure, and savings. The first few months may seem expensive but eventually the impact will slacken as you get used to the new prices. It goes without saying that careful budgeting is the key especially during this new transition, as well as setting your saving priorities right to ensure a financially secure future.